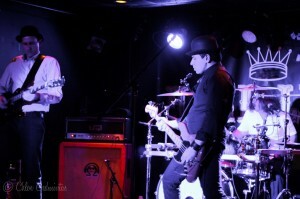 STRAWMAN helped kick-off the very first Thursday Throwdown at The Luck Bar. 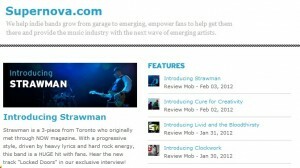 Check out what IndieMusicWeek is saying about the Thursday Throwdown. STRAWMAN had the privilege of sharing the stage with industrial pop rockers The Rabid Whole at the Hard Luck bar in Toronto last week. 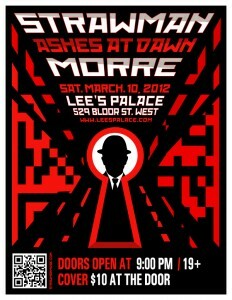 Their live show was very slick and the music was a polished mix of Linkin Park and Nine Inch Nails. Andreas, George, JJ, Oscar and Chalsey have just released their latest album ‘Refuge’, as Andreas puts it “showcases a 21st century, high-energy, electro alternative, orgasmic-punch-in-the-face-rock band.” The Rabid Whole will be travelling to Quebec at the end of May to promote ‘Refuge’. The Hard Luck gig marked the launch of Indie Week’s ‘Throwdown Thursdays’. We were asked to play by Indie Week director, Darryl Hurs, and were glad to be a part of it. The Southern Comfort promo at the bar helped ‘sweeten’ the deal. 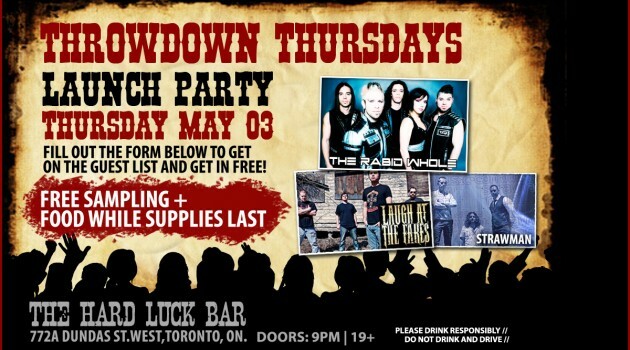 The Hard Luck Bar has now relocated to 772 Dundas St. W. in Toronto and is a good sized room with a great stage. It’s going to be a key venue in the Toronto indie music scene, especially with the large void to fill after the closing of the landmark multivenue building at the corner of Queen and Bathurst that housed ‘The Reverb’, ‘Kathedral’, and ‘Holy Joe’s’. Here’s another example why social media is a powerful tool. With the recent “Kony” video that went extremely viral a few weeks ago, facebook users set their “like” buttons alight and “shared” the video with all their “facebook friends”. Here’s another take on the “Kony” video and its purpose. 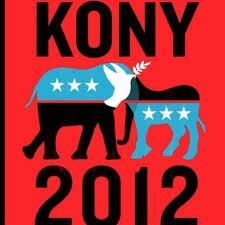 The Vigilant Citizen posted an interesting article on why the “Kony” video was created and its potential uses. It seems that the video was created and is being used as propaganda for a war in Africa. As the results showed, the “virulent” success of the video proved that social media can be used for many, more clandestine, purposes. After running the “experiment”, the creator of the controversial video was conveniently discredited when he appeared on video having a meltdown in San Diego. It is also interesting to note that the organization that created the video “Invisible Children” is funded and backed by organizations such as USAID and JP Morganwho had vested interests in the “Arab Spring” uprisings that resulted in new leadership and new investment opportunities. 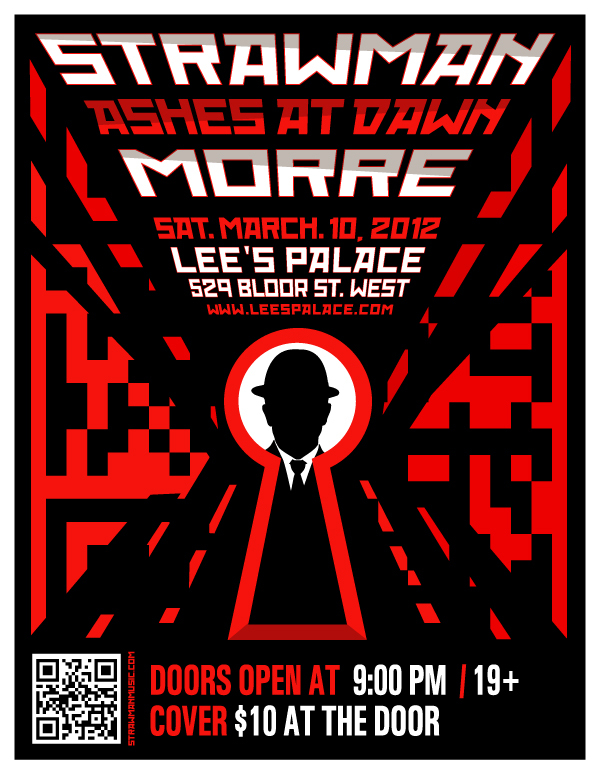 Like the saying goes…..”always follow the money”…..
Mark your calendars…..STRAWMAN will playing at Lee’s Palace at 9:30PM on Mar. 10., performing their latest release “Locked Doors”.